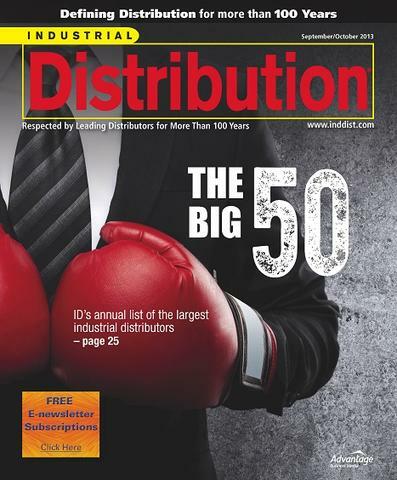 JGB Enterprises, Inc., the makers of The Perfect Garden Hose, is proud to be among Industrial Distributions "Big 50 List of Industrial Distributors". The big 50 list highlights a group of companies who are aggressive, and progressive. All companies on the list are ranked according to 2012 total worldwide sales in USD. JGB Enterprises General Manager Josh Defino said, "2012 led to expansion in our crimping capabilities. Being able to crimp up to 12 inch diameters has really increased our sales in the Large Diameter Hose or LDH market." Other well-known companies on the list include, W. W. Grainger, HD Supply, WESCO, & Motion Industries, Inc. You can read the full article @ http://www.inddist.com/digital-editions/2013/09/2013-big-50-list. This entry was posted in Industrial, Uncategorized and tagged Bank of Japan, Facebook, Facebook features, HD Supply, Industrial Distribution, Industrial Hose, Indutrial Hose Fittings, JGB, Motion Industries, Twitter, W. W. Grainger. Bookmark the permalink.